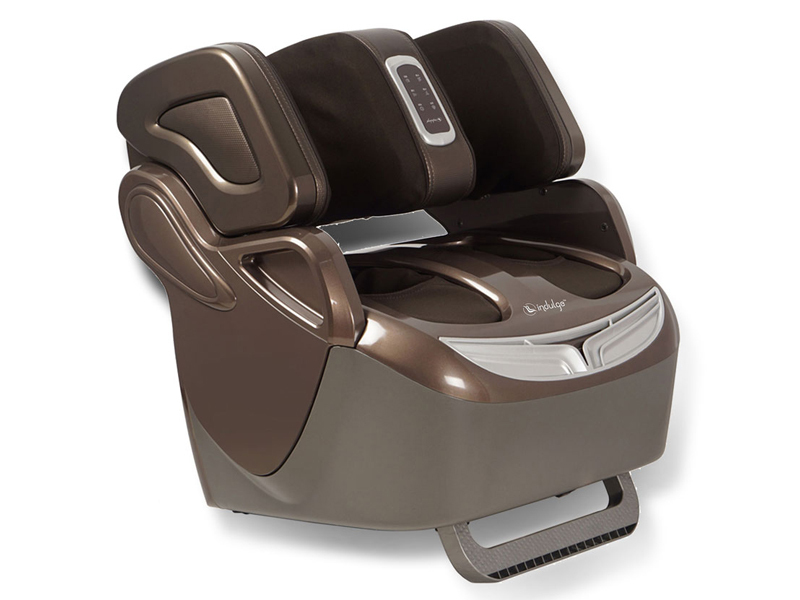 The all-new Indulge IF-839 Leg Massager by Powermax Fitness comes with a very unique design that completely surrounds the feet and ankles to deliver a massage that is relaxing, soothing and energizing. 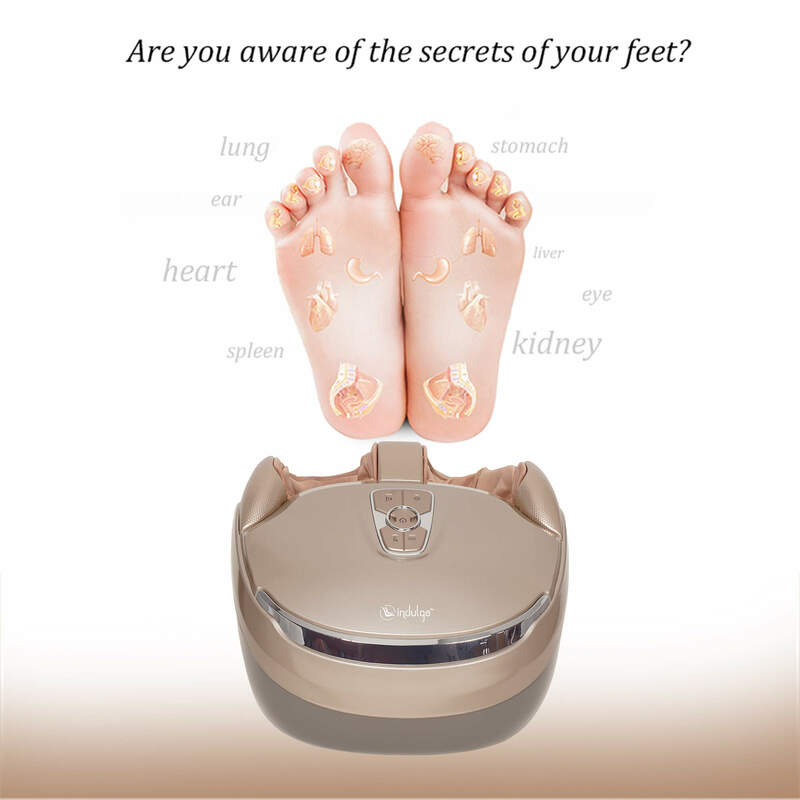 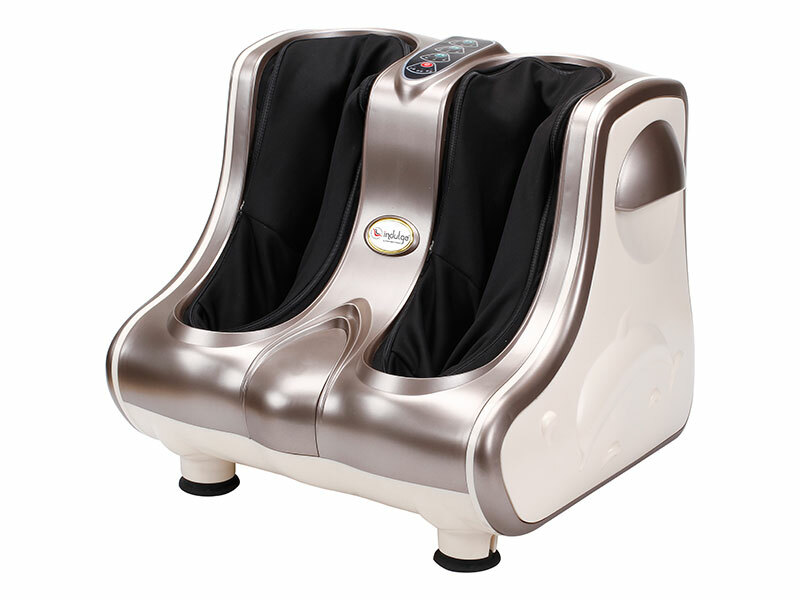 It has 2 deep-kneading Shiatsu rollers that help in relieving the tightness and stimulates reflexology zones of feet and Rocker Massage Technology in the foot-beds delivers refreshing percussion massage to the soles of the feet. 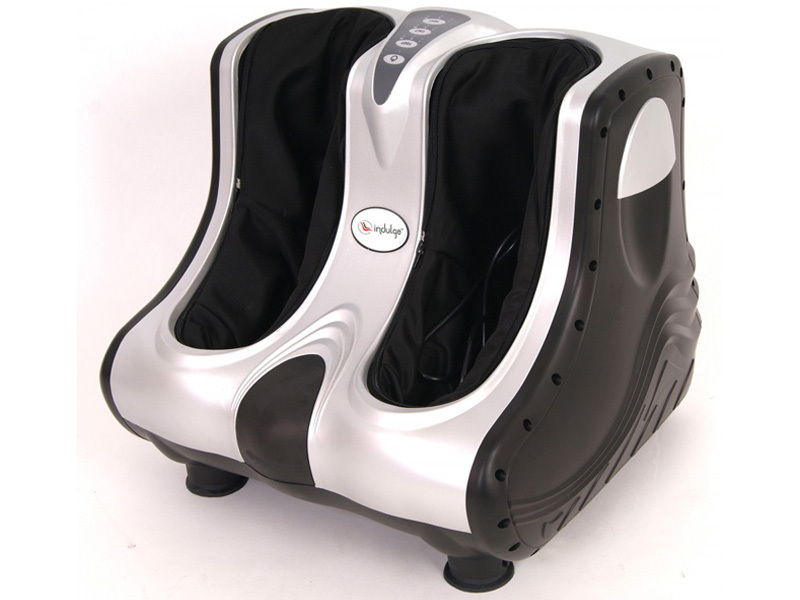 The all-new Indulge IF-839 Leg Massager by Powermax Fitness comes with a very unique design that completely surrounds the feet and ankles to deliver a massage that is relaxing, soothing and energizing. 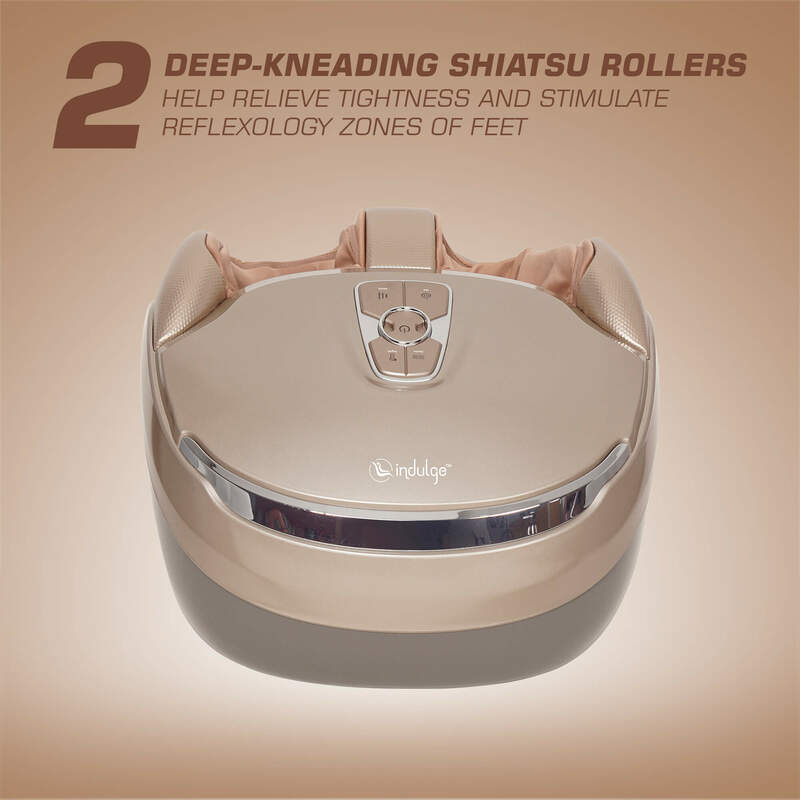 It has 2 deep-kneading Shiatsu rollers that help in relieving the tightness and stimulates reflexology zones of feet and Rocker Massage Technology in the foot-beds delivers refreshing percussion massage to the soles of the feet. 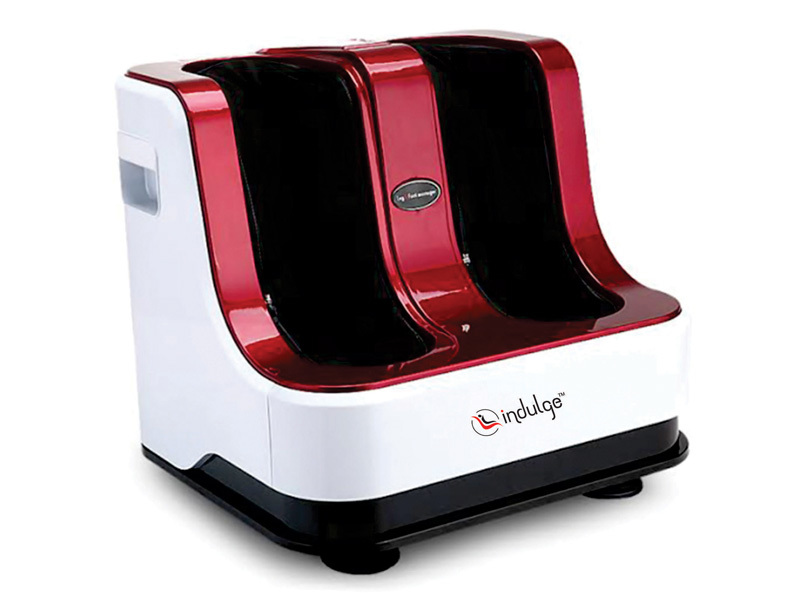 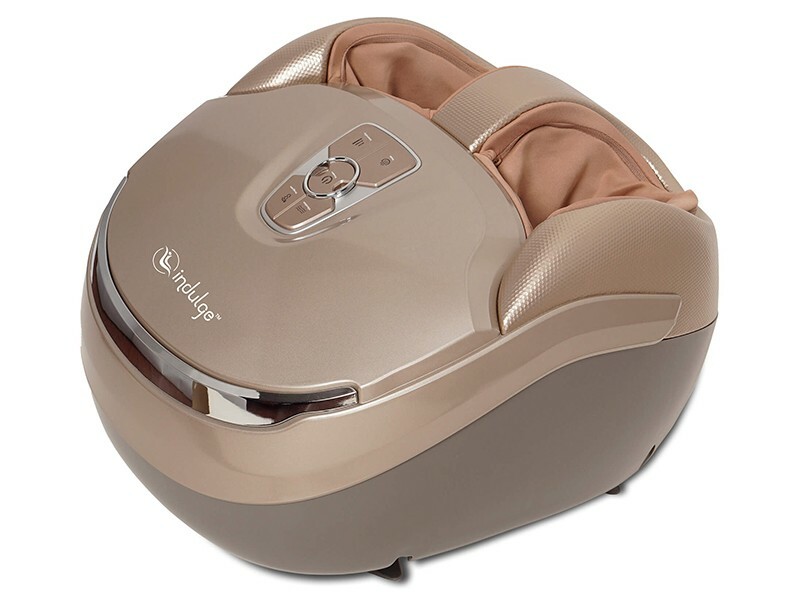 Indulge IF-839 Leg Massager chooses 3 auto massage programs- 1. 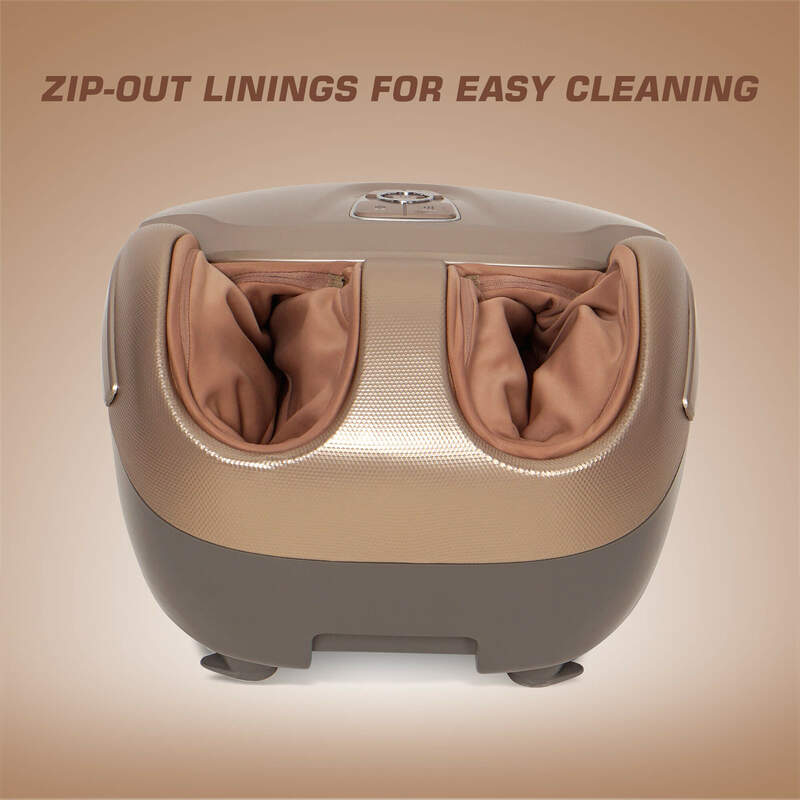 Soothe 2. 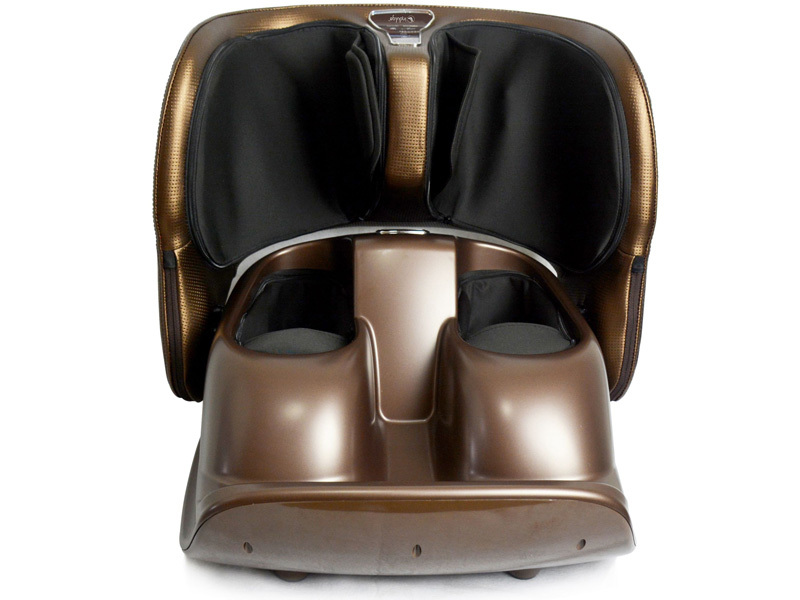 Pulse and 3.Energize or Indulge IF-839 Leg Massager uses the control panel to create a custom massage and also provide three types of massage intensities: High, Medium and Low. 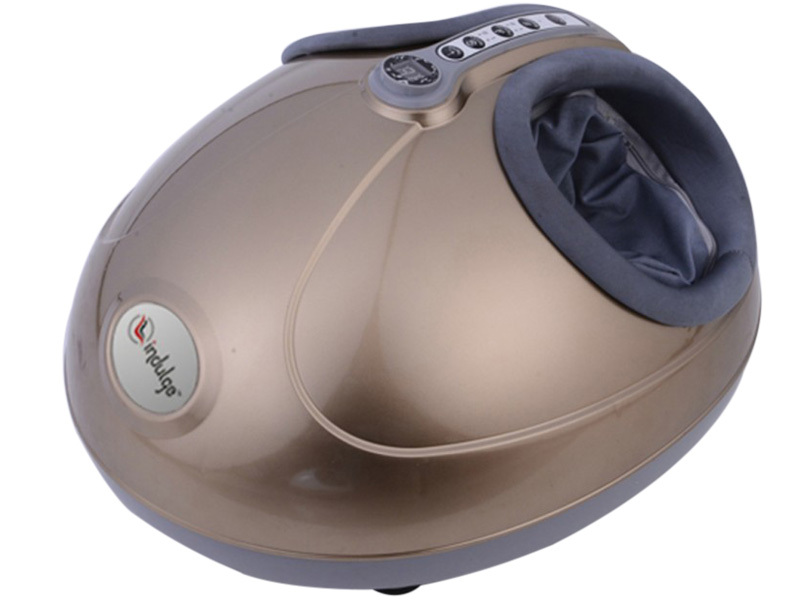 Indulge IF-839 Leg Massager is available in a single golden color variant. 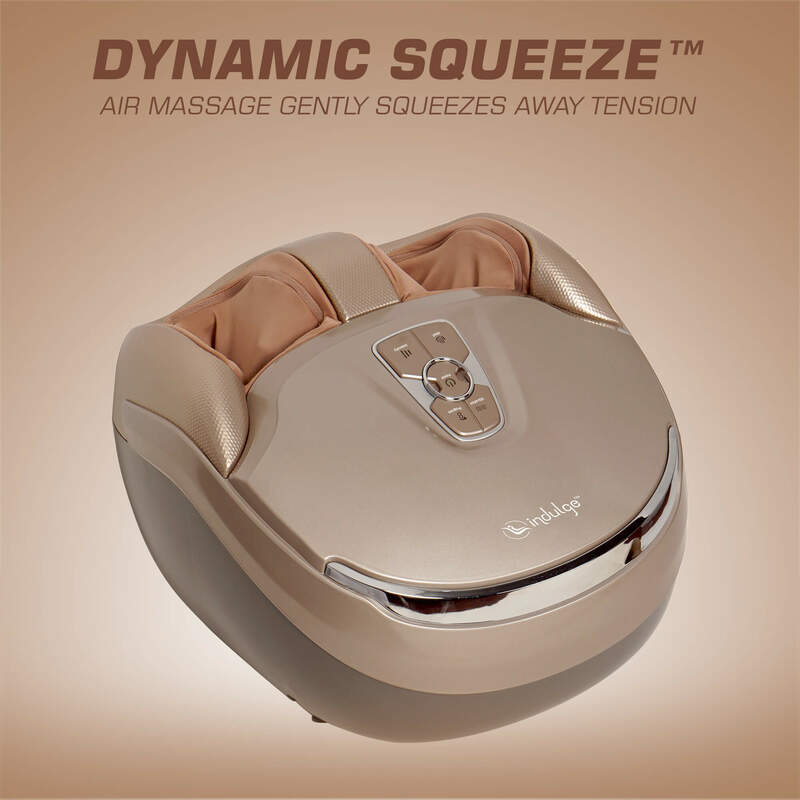 The Dynamic Squeeze air massage gently presses the legs, ankle and throws away tension. 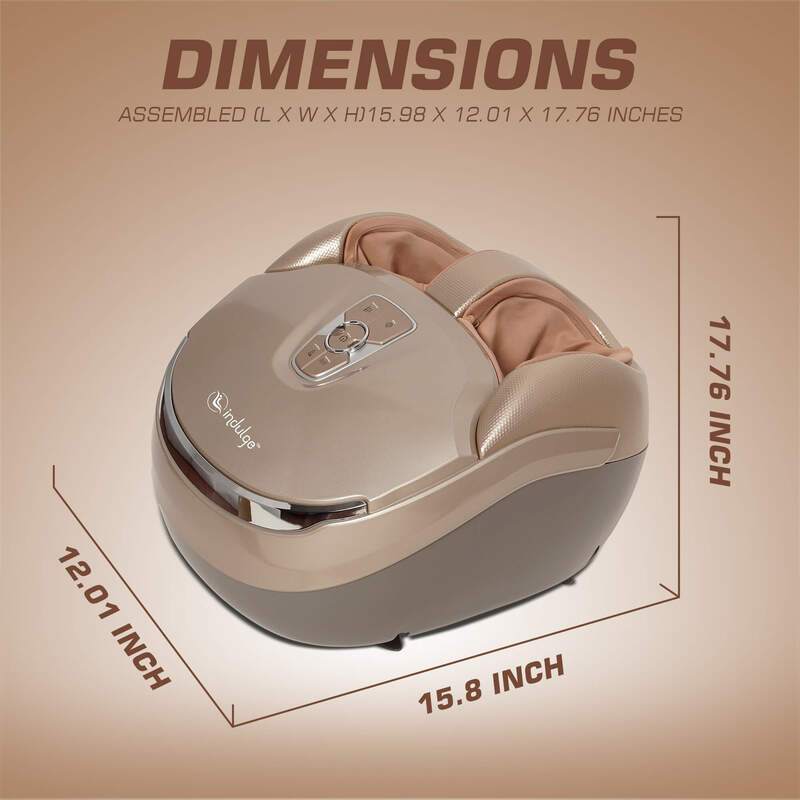 It comes with best features which helps people with foot pain, ankle pain, knee pain, calf pain, hip pain, back pain, muscle fatigue, and improves circulation too.